An opportunity to experience "the best of the West" in two days taking in Limerick, Bunratty Castle, the Cliffs of Moher, The Burren, Galway Bay and overnighting in Galway City. Next day we continue along the Wild Atlantic way through Connemara and visit Kylemore Abbey. Experience the "Best of the West." Tour does not operate on Sunday or St. Patrick's Day. This package is based on B&B stay. B&B will be advised in Ireland. One can choose to upgrade to a 4* hotel at the time of booking, for an additional supplement. Check-in is 20 minutes prior to train departure time at the customer service desk at Heuston Station where our check-in representative will be in their yellow jacket! 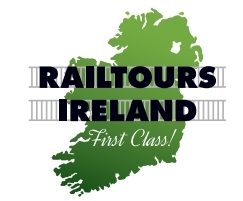 Check-in for 7:00 am departure from Dublin Heuston, opened in 1844 as the headquarters of the Great Southern & Western Railway and is now the official principal station of Iarnród Éireann, Ireland’s national railway company. As your train departs, we travel in a south westerly direction, through Dublin's western suburbs and then through the lush fertile countryside of Co. Kildare. Our journey takes us through the Curragh which is famous for its racecourse, home of the Irish Derby, and there are many stud farms in the vicinity. One of the train stops is Thurles, where the Gaelic Athletic Association (GAA) was founded in 1884. The GAA is the sporting body responsible for promoting Ireland’s National sports, Gaelic Football and Hurling. We change trains at Limerick Junction for the Limerick bound train. 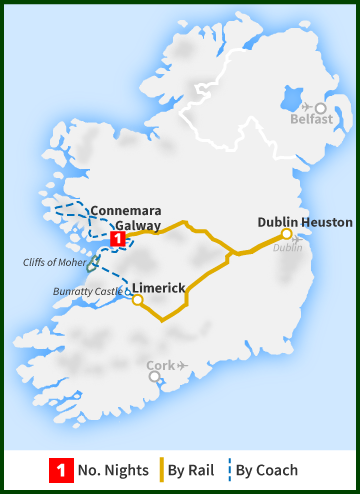 9:00 am: arrive into Limerick where we will join our Railtours Ireland tour coach. Limerick has a population of about 90,000 and its city charter was granted in 1197 AD, making it older than London! As we cross the river Shannon which is Ireland’s longest river you will see views of King John’s Castle to the right. The castle was completed in 1200 and marks the origins of the city. Limerick’s most famous author, Frank McCourt, grew up here and was the setting for his book, ‘Angela’s Ashes’. Limerick is also the birthplace of celebrated BBC radio DJ, Terry Wogan and Hollywood star, Richard Harris. We will pass the GAA grounds of Páirc na nGael –the home ground of County Limerick’s Hurling and Gaelic Football teams. Limerick is also the home of Irish Rubgy and we will pass Thomond Park, the Rugby stadium. After a brief city tour we travel onto Bunratty Castle and Folk Park. The castle was completed in 1425 and, after many years of neglect, has been restored to its former glory. There is also a folk park here which you will have time to explore. Your evening is free to enjoy this really exciting city with its huge selection of traditional bars some with music and a wide variety of restaurants and cafés. Overnight Stay: Galway City Center. Enjoy a Full Irish Breakfast at your leisure. 10:05 am: depart from Galway Train Station and our conducted tour of Connemara leaves Galway to the village of Moycullen. From Moycullen the road rises and falls towards the lovely village of Oughterard on the shores of Lough Corrib, traditionally regarded as Ireland’s premier angling center. 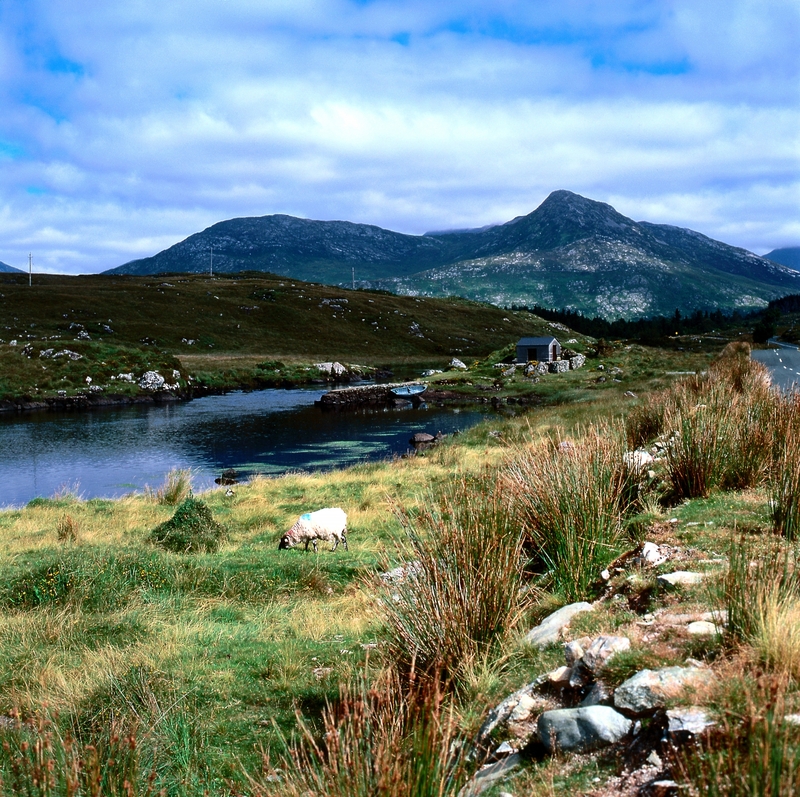 Now the gateway to Connemara opens, and the breathtaking colors of this unspoilt countryside are revealed in all their natural splendor. At Maam Cross, the Connemara "crossroads", there is a replica of the cottage used in the 1950's John Wayne and Maureen O'Hara film "The Quiet Man", which was filmed here. From Maam Cross our tour heads out to Leenane, Kylemore Abbey and Letterfrack, in the shadow of purple mountains rolling down to blue and green rocky valleys, reflecting the rich and varied colors of Connemara. There is a lunch break at Kylemore Abbey and Gardens, an 18th century castle now owned by the Benedictine nuns who run an excellent pottery, gift shop and restaurant here. Letterfrack is one of Ireland’s major national parks. The colorful town of Clifden has been one of Irelands leading holiday resorts for generations. It is an excellent touring center beloved by the walker, the biker, the hiker or the fisherman. It was here too, at Derrygimlagh Bog, near Clifden that aviation history was made when Alcock and Brown crash landed after their historic transatlantic flight in 1919. Back at Maam Cross again and the road turns southwards now through the Screeb, Costello and Rossaveal. Rossaveal is the departure point for ferryboats to the Aran Islands and is also a major fishing port. We are now in the Gaeltacht or Irish speaking area of Connemara where Gaelic or Irish is still the everyday spoken language of a bi-lingual people. Our tour of Connemara heads homeward towards Galway City now, along the shores of Galway bay, through the Gaeltacht villages of Inverin and Spiddal and looking out across the blue waters of the Atlantic at the unique lime-stone of the Burren and the hills of Clare. After your day's touring you will be returned to Galway Station. Upon arriving at Galway Station please present your Railtours Ireland ticket and travel pack at the ticket barrier and you will be directed to your reserved seats on the train, where you host will be waiting for you. Your tour land price is per person based on two (2) people sharing a twin or double room. Single is additional. Departure date is the date one would start touring in Ireland including any pre/post nights. Does not include air travel.